Solar power works in Seattle, and hundreds of homes are enjoying free energy, getting cash back for the energy they produce, and helping Seattle become more sustainable. A new community-supported program can help you get it on your home. What is the “Solarize” program? Through the nonprofit Solarize Seattle: Northwest program running this spring, people in northwest Seattle neighborhoods can take advantage of a free workshop to learn how solar works, access solar incentives and financing, and get a free assessment and bid on putting solar on their home. 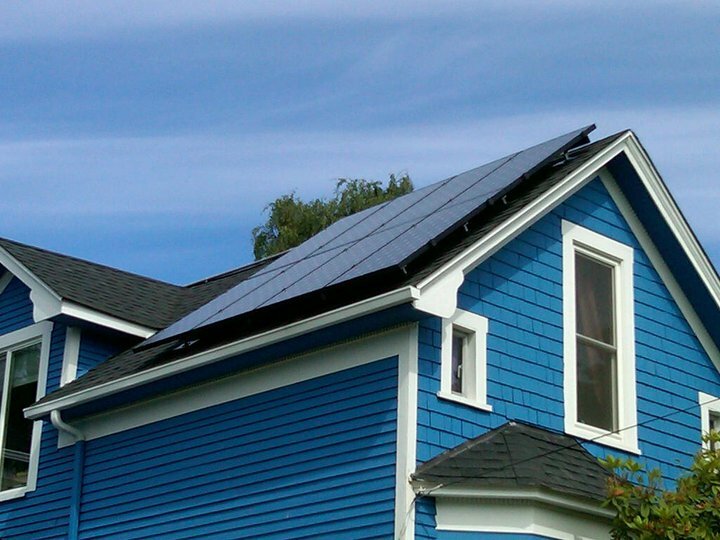 Because the program includes a competitively chosen installation team of Puget Sound Solar and Artisan Electric, participants also get a group-buying discount for the best possible price on their solar system. The project is supported by Community Councils in Greenwood, Phinney Ridge and Green Lake, and four Sustainable groups: Sustainable Ballard, Sustainable Greenwood-Phinney, Sustainable Wallingford and Sustainable Seattle, and has volunteers working to get the word out in every northwest neighborhood. It follows a process run by Solarize in northeast Seattle, Queen Anne and Magnolia that has put solar on more than 100 homes. 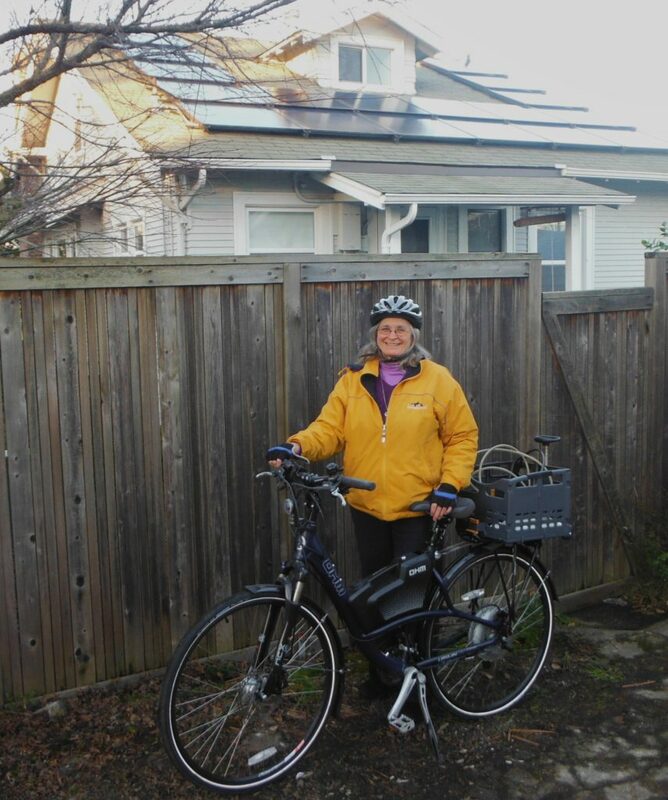 Anne (above) bought a Silicon Energy system (can be seen on roof behind her), which is made in Marysville and qualifies for the highest annual incentive payment through the utility, and she got a check for $2,000 from City Light for her 2012 energy production! Incentives: a 30% federal tax credit, annual state energy incentives, utility credits, and a state sales tax exemption bring the payback time down significantly. Group-powered discount: Solarize is a community program that uses group buying power to get our neighborhood the best price. Low-interest loans: finance the installation and offset the payments with your annual production incentive credit. Decades of clean energy: today’s efficient solar panels have 25-30 year power production warranties and will produce clean, renewable energy for years to come. For those of you beyond NW Seattle – there is a state incentive for in-Washington made solar panels and Puget Sound Energy has an incentive program that pays you cash per kilowatt generated, plus there are some federal incentives as well. Check with your utility company in your area for more info.